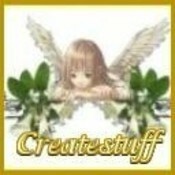 createstuff doesn't have any items in their booth! Fantastic seller, fast shipping great communication, buy with confidence from this A++ Seller!! What can I say ! She is the best of the best that bonanza has to offer, as both a buyer and seller! Ships her items quick,and as a buyer pays immediately! Buy with confidenence from this seller!